In case, the paint on your metal roof is about to break and peel or if you are bored with its color, it may be time to paint your metal roof. Metal roof painting could be a complex job that requires extra time, therefore you must think about hiring certified painters to finish the job. If you are ready for the challenge, than you will require ensuring the right paint, clean your roof, and apply a few coats. Use the proper paint to make sure your roof looks brand new; no matter you plan to paint old roof or new one. While painting a metal roof, there are several blunders that beginner and even experts are likely to make. The most important amongst them is considering the metal just as other roofing substance. 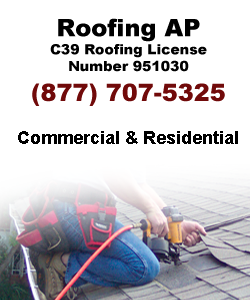 However, metal roofing requires specialized paint. Getting your metal roof painted by expert painting contractors is essential to be familiar with its actual state and to make sure it remains in its ultimate form for longer period. After painting a metal roof it is crucial to do a cleanup washing down the roof with a mix of bleach, detergents, and water after every six months. Get metal roof painting in Los Angeles in highly affordable rates.